U.N. Committee Gets ‘Unhindered Access’ to Azerbaijan’s Detention Centres – But Is it Enough? Months after being denied access to Azerbaijan’s places of detention, the head of the United Nation’s Subcommittee on Prevention of Torture (SPT) announced Friday that her four-member delegation had successfully conducted investigations of Azerbaijani prisons, police stations and investigative isolation units. Authorities in Azerbaijan took steps Dec. 5 to muzzle Khadija Ismayilova, an investigative journalist who is the country’s most vocal government critic. A Baku court granted a motion to hold Ismayilova in jail pending a criminal trial, while her Facebook page mysteriously went dark. Azerbaijan in recent months has launched a clear assault against various civil society activists and non-governmental organisations. While rough treatment of critics is nothing new in this energy-rich South-Caucasus country, one question remains unanswered: Why pick up the pace now? Public anger is building in Azerbaijan over Russia’s rough treatment of an ethnic Azeri accused of murder. The incident likely will scuttle any chance, however remote, that Baku will join the Moscow-led Customs Union. A man who declined to campaign in the weeks before Azerbaijan’s presidential election on Wednesday is already gearing up for his inauguration ceremony. In Azerbaijan, a Presidential Campaign in Name Only? There are three weeks to go before energy-rich Azerbaijan’s presidential vote on Oct. 9, but a race is nowhere to be seen. No political ads adorn the capital, Baku, and no candidate spots are running on private TV channels. The incumbent strongman, 51-year-old Ilham Aliyev, is not even bothering to run an active campaign. In Azerbaijan, opposition journalists have long been beaten, blackmailed and some even killed. But now, it appears a few are being bought. 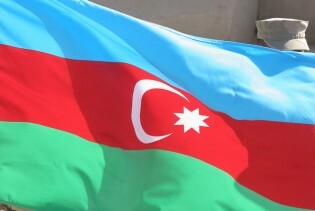 At a cabinet meeting in mid-July, Azerbaijani President Ilham Aliyev lashed out at the European Parliament for supposedly conducting a “dirty campaign” against Baku. The shrill tone of Aliyev’s comments indicates that European pressure on Azerbaijan to respect basic rights is stinging the Aliyev administration. Azerbaijan in late April crossed a self-imposed “red line” in its relations with southern neighbour Iran by dispatching Foreign Minister Elmar Mammadyarov on a visit to Israel, Tehran’s arch-foe. Reasons for the timing of the move are not clear, but, so far, Tehran appears to be biding its time with a response. Sixty-year-old Irina Grigoryan's voice is drowned out by the merry noise of 230 children waiting for their lunch. Director of kindergarten N3, located in Stepanakert, capital of the self-proclaimed Nagorno-Karabakh Region (NKR) deep in the Caucasus, Grigoryan smiles tolerantly at the din.